Worldwide Tech & Science: CES 2014: Mobile Applications Enhanced By LG webOS Smart TVs.To work with Android and iOS apps. Technology News,Gadgets, tech trends, Science. CES 2014: Mobile Applications Enhanced By LG webOS Smart TVs.To work with Android and iOS apps. WorldWide Tech & Science. Francisco De Jesùs. Mobile Applications Enhanced By LG webOS Smart TVs. .To work with Android and iOS apps. New LG webOS Smart TV Feature Allows Mobile Apps to Seamlessly Pair and Provide Connected, Multi-Device Experience. LG Electronics' next-generation Smart TVs, powered by the webOS platform, will be able to connect and interact with leading Android and iOS apps, enhancing the second-screen television experience, LG Electronics USA announced today. BuddyTV (OTT content and TV listing). Each mobile app will demonstrate how, by simply being on the same home network as an LG Smart TV, users will enable a unique multi-device, connected experience. In the case of "reddit is fun" mobile app, users will be able to find a viral video and with one click, watch it on an LG Smart TV. The ACTV mobile app will launch a corresponding application on the LG Smart TV and connect a user's fitness band to the TV for a real-time, social and active experience. With Yidio, users will be able to access a personalized streaming guide across multiple content sources and effortlessly launch selected content on the TV. "By optimizing the powerful yet simple webOS platform for Smart TV, LG has enabled a new level of interaction between TVs and mobile applications," said Anthony Rose, CTO and co-founder of zeebox. "The combination of seamless pairing, TV control beyond mere channel changing, and on-screen content identification and synchronization will result in a more connected, contextual and social experience. We're excited at the prospect of developing even more new user experiences with this new platform." "With more than 40 percent of U.S. consumers regularly watching TV with a mobile device in their hand, this new feature from LG will make it easy for them to control the TV experience from the devices they love," said Colin Dixon, chief analyst and founder of nScreenMedia. "Tablets and smartphones are natural places to interact and discover. Seamless pairing with the TV extends that ability to the biggest screen in the house." Samuel Chang, LG Electronics USA senior vice president and head of LG Silicon Valley Lab, sees seamless multi-device connectivity as a big opportunity. "We're breaking down barriers to allow all of our customers' existing apps and devices to work together harmoniously. The screen size, capabilities and social nature of Smart TVs enable experiences that our consumers will absolutely enjoy." LG's 2014 Smart TVs, which will be available in the United States this spring, are the first products to be powered by the webOS platform after its acquisition by LG. LG Electronics USA, Inc., based in Englewood Cliffs, N.J., is the North American subsidiary of LG Electronics, Inc., a $45 billion global force and technology leader in consumer electronics, home appliances and mobile communications. In the United States, LG Electronics sells a range of stylish and innovative home entertainment products, mobile phones, home appliances, commercial displays, air conditioning systems and solar energy solutions, all under LG's "Life's Good" marketing theme. LG Electronics is a 2013 ENERGY STAR Partner of the Year. For more information, please visit www.lg.com. zeebox is the leading TV content network delivering news, social community and interactivity to TV fans worldwide. With zeebox, consumers can subscribe to personalized TV news and gossip, join global communities of TV fans in TV Rooms, get more information about their favorite shows and celebrities, buy what they see on screen, remote control their TV and more. Broadcasters and content owners partner with zeebox to enhance their TV shows, connect with fans and monetize this new medium in sync with live TV. zeebox was founded in 2011 by former iPlayer CTO Anthony Rose and EMI executive Ernesto Schmitt. The company is backed by Comcast, NBCUniversal, Viacom and BSkyB and is headquartered in London with offices in New York and Sydney. For more information, please visit www.zeebox.com. easy to search, discover, and watch over one million TV shows & movies across hundreds of content services. Founded in 2008, Yidio (short for "Your Internet Video") is headquartered in San Francisco and available on the web, iOS and Android app stores. For more information, please visit www.yidio.com/app. Imgur is the go-to destination for viral images. Backed by a friendly and funny community, Imgur is the best place to spend your free time online. For more information, please visit www.imgur.com. TalkLittle, LLC is a Massachusetts-based software developer, best known for its Android app, "reddit is fun." Each member of TalkLittle, LLC is a fan of the Internet, video games, and various nerdy and geeky pastimes. Stevie is a leader in the future of content viewing, providing a personalized TV experience on multiple platforms. The company was founded in October 2011 by Yael Givon and Gil Rimon, seasoned web creatives and experienced entrepreneurs. The Stevies have a collective experience of 15 years of designing and engineering successful web, internet and TV products. Neura Inc. (www.theneura.com) is a leader in interoperable technology solutions. Neura is a connective tissue that bridges devices, locations, people and the web. 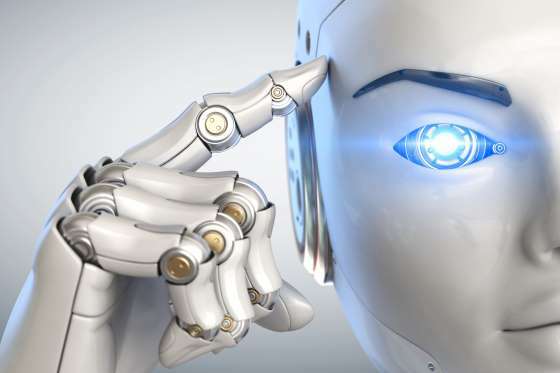 Together with its adaptive learning engine Neura brings intelligence to connected ecosystems. ACTV is the first product powered by Neura connecting multiple devices and fueled by context to provide a simple agnostic solution to end customers. For more information regarding ACTV please visit www.get-actv.com. BuddyTV Guide with Vibes™ is a free app to help TV and Movie viewers manage sources of content, devices, interests, and friends. BuddyTV has the highest rated TV Guide app in iTunes and has over 1.2M downloads and over 6MM monthly uniques on its website. Press Release: CES 2014: LG makes Smart TV simple with new webOS Smart TV platform. Is this the LG webOS Smart TV UI start display? @evleaks says so. CES 2014: LG webOS Smart TV DISPLAY first pictures .LG releases plan. LG webOS have an exclusive booth at CES 2014. Pictures. LG webOS Smart TV to come with Voice/Gesture recognition at CES 2014. Video: A 20+ minutes interview with LG`s webOS TV product and design head managers. LG may develope webOS smartphones later. Where is Palm webOS now? CES 2014: LG webOS 4.0 Smart TV finally to debut. Confirmed. To revive Palm/Enyo dvelopment efforts. 2019 LG Smart TVs will run WebOS 4.5 platform. Details. CES2013: zoomStand to unveil first modular/portable laptop and tablet stand. UK: Samsung had not infringed Apple`s design rights, rules Judge. Samsung Galaxy A70 Specifications. TV Video Commercial. 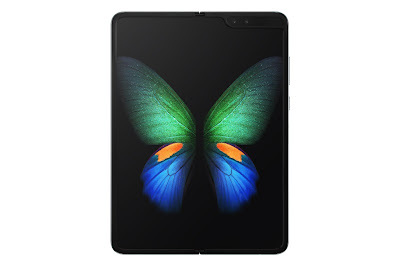 USA: Samsung Galaxy Fold pre-orders fully booked. Q4 2011:USA: Samsung Widens Lead in US LCD-TV Shipment. Chart. Samsung Galaxy S10 Plus smartphone, tops ratings of Consumer Reports. Samsung Galaxy A80 Specifications. TV Video Commercial. What are LG`s plans for webOS ? Video. The Future is now: The RYNO Bike. Video. Disney`s Maleficent first trailer is out. Video. LG confirms G Pro2 release for February. Really? Motorola to make a $50.- smartphone. iPad Air NEW TV Ads. Is the iPad Air waterproof? LG speakers at Apps World SF. Feb 5-6. LG G2 now with 2 new colors. Samsung launches the Galaxy Tab3 Lite 7 inch. LG GFlex NEW ad. Video. LG GFlex UNLOCKED now available on Amazon store. CES 2014: Lenovo Shows 23 New Models. First LG webOS Smart TV commercial. LG`s webOS TV SDK available SOON. Video: LG webOS smart TV INSIDE at CES 2014. CES 2014: LG press conference LIVE blogging. CES 2014: LG LIVE streaming press conference. CES 2014: LG will unveil a ULTRA HD TV lineup. Samsung Touch Screen LCD 1920 X 1200 Galaxy Tab A with S Pen, Black, 10.1"
LG G Watch Urbane LTE WebOS based.